Ok, steeping out of character a bit, I’m really unhappy with where the story has gone. Maybe I should make my intent clear here. I want to tell a story. In many ways, this will be my story. I also want to write about steampunk, because I think it is cool. I thought it would really neat to write the story as alternate religion, and I liked the idea of Roman paganism responding the pressure of early Christianity by out Catholicing the Catholics. The first problem with that is the fact that the Romans never saw themselves as pagan literally means rustic, rustic, but that formalism kills the real meaning. If a Roman called someone a Pagan they were saying “You’re a backwards hillbilly.” Belief in the Roman gods was seen as genteel, refined, urbane. When Christianity first started it was movement among the very poor. Jesus taught a radical, pacifist, proto-communist doctrine. Pauline persecution of the Jerusalem “Church” (The word we translate as church would more appropriately be translated “501(c) corporation”. It means a group of people which has a legal right to exist, as opposed to a cult, which has no right to exist. Jerusalem did not have a church in the sense that there was a hierarchical organization. It had a bunch of unorganized cells with only a very lose connection to each other.) Spread the Christians all over the empire. There was, at that time, a verity of Jewish based mystery cults. Paul had the brilliant idea of manipulating the “church” and the existing Jewish Cults into a a single entity. It was at this time the Christianity (at this point a religion of the profoundly impoverished) began to have members who were of the merchant or aristocratic class. The Catholic church as we know it is a post medieval development, and by that time the church WAS the state. You can’t have Roman Paganism (which they didn’t think was pagan) defeating post medieval Catholicism in the year 300. Further, why in the world would Bram begin his story by explaining that? Do most people have any idea the role the post medieval catholic church played in their history? Why would he? No the religion needs to be developed in the story, not explained as a whole in the first couple pages. Further, I like the name Bram Concher, I like writing in the first person, but this story begins atrociously. I mean,my mom would never abandon her kid like that, and my dad is still alive. You can only write what you know. Parts of the character I’ve written about so far could be an friend of Bram’s but the protagonist has to be written in detail, and I can’t write in detail about the person I’ve created so far, I have no idea what makes him tick. Further, I can’t really write the “abandoned at 9” aspect either. I wasn’t abandoned by family till my late 20’s. And I can’t write about boarding school, because I’ve never even tried it. Everything I know about it is from B-grade movies. In fact, I really struggle to write from the 19th century perspective at all. I love steampunk when it asks “What might have been” but my suspense of disbelief completely disengages when people start building flying machines with unobtainium and shooting “aetheric cannons” at each other. I always thought the mechanical computer aspect was stupid and overplayed as well. 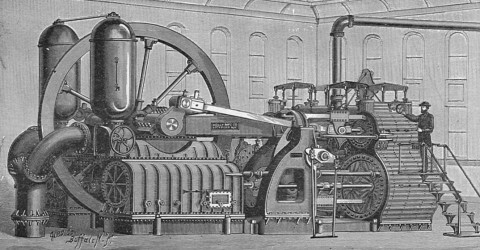 I mean in “Differential Engine” Babbage finishing it changes everything because now there’s a computer. Well, la day fricking dah, one computer isn’t going to change the world. “Egad’s Johnson, did you know they have computational engine at the University?” “Well, I’m sure that England can rule the world now that we can more quickly and accurately run stress analysis for large structures! Our bridges will weight 3-8% less then everyone elses. Bravo for the empire!” It’s stupid. Even with a computer of that power in every major city, you have to have people who can imagine what computers can do for anyone to do anything interesting with them. And of course, I don’t really know anything about the British Empire, or what is was like to live there. So..how does this figure into a plan of action? First off, I like America being Kingdom. I think the romance of His Majesty’s Ship (HMS) compared to United States Ship (USS) just works better. I like Bram being from a town on the Mississippi. I like his dad coming back from a dirty little Asian war an opium addict . I like introducing Darcy in very early, though ultimately I’m unhappy with how it worked out. I like the idea of him committing to a religion at an early age. That’s about it.